"One pack, two applications. Dedicated to intense ski touring, this 18L backpack innovates with its winter/summer versatility. 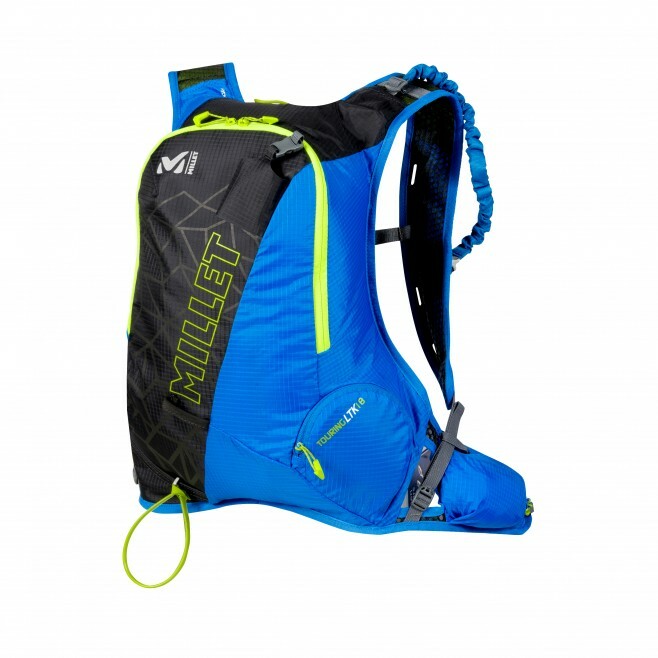 Minimalist and ultra-light to aid mountain performance, it is designed to save time and energy. Quick access points let you fasten skis or stash crampons with pack still on back, and there are also shovel and probe fasteners and an ice-axe holder for couloirs. In summer mode, replace the top ski-holder loop with a smaller one that's perfect for poles. Or gain space by removing the protective tube in the crampon holder's lower section - thus increasing internal volume. +Clean-cut performance shape. Zip closure.